Jamil Salah is the General Manager of ESKADENIA Software Sweden, established in 2017 in order to expand ESKADENIA Software’s reach into the European and Global markets. 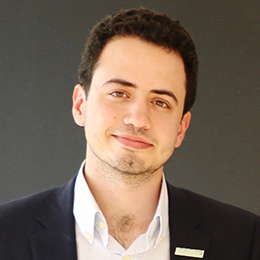 Holding a degree in Accounting & Finance from the University of Plymouth, Jamil entered the Sales, Marketing, and Project Management teams at ESKADENIA Software in 2014 while focusing on the corporation’s controlled expansion methodology. Jamil has focused on large scale system implementations at ESKADENIA, including a project where 19 integrated Core and Support systems were implemented in record time. As General Manager of ESKADENIA Software Sweden, Jamil’s responsibilities include corporate management, generating leads and sales, and guiding the localisation process for the north European market.